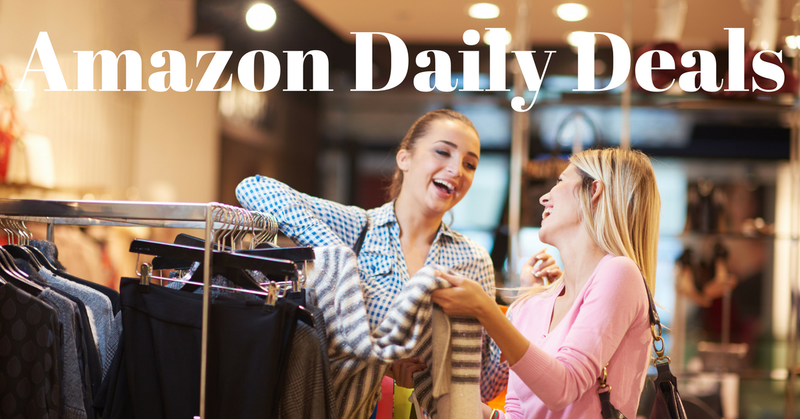 Each day, I search for great deals to bring to you at incredible prices. I'm going to try to post these Amazon daily deals, daily. These prices are subject to change at any given time so you must be quick. Here are some of my finds from 3/21/2017! These ice packs are perfect for you or your child's daily lunch. Right now you can pick them up for only $7.99. You can use them daily, and they're BPA free. Also, non-toxic. ReneeC. is a brand that my beloved Stitch Fix sells. I found a fantastic price on this dolman cold shoulder top! It comes in four different colors, and the prices range in the twenties. You may want to run to grab one of these fashionable tops! Do you have a ring that's too big? I do, and my other ring adjuster just broke on me. Right now this item is trending and 50% off. This adjuster looks like much better quality than the one I had! In my household where everyone has a phone, you can never have enough phone chargers. I'm super picky about my phone cord because half the time when you buy them online, they turn out to be crap. Well, worry no more. These chargers have fantastic ratings. The best part is you receive 4. Also, I love they're colored so no one can steal your charger. Right now pick them up for $7.99! I love my North Face fleece coat. What don't I like? The price of the jacket. I recently fell in love with the quality of Jason Maxwell, so I know you will love this moderately priced jacket. This $10.23 and up jacket comes in 7 different colors. You might want to grab a few! Until we meet again tomorrow! Thanks for joining me for Amazon Daily Deals!